In my opinion, Christmas time is the best time for scary stories. If you think about it, what’s scarier than Santa? An old man who stalks people and puts them on lists and then creeps down the chimney on a particular night – it’s classic serial killer behavior. 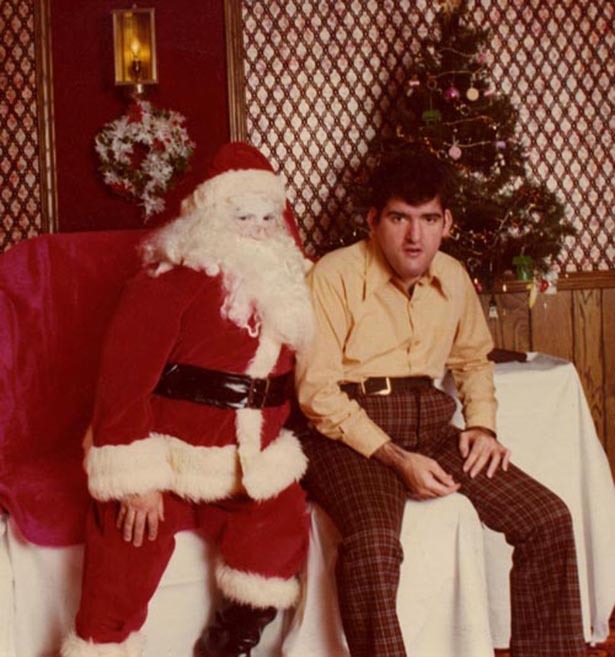 Most people don’t know Christmas originally revolved around terror in Europe before Coca Cola commercialized and bastardized the holiday and turned Saint Nick into a jolly, rosy-cheeked hero. 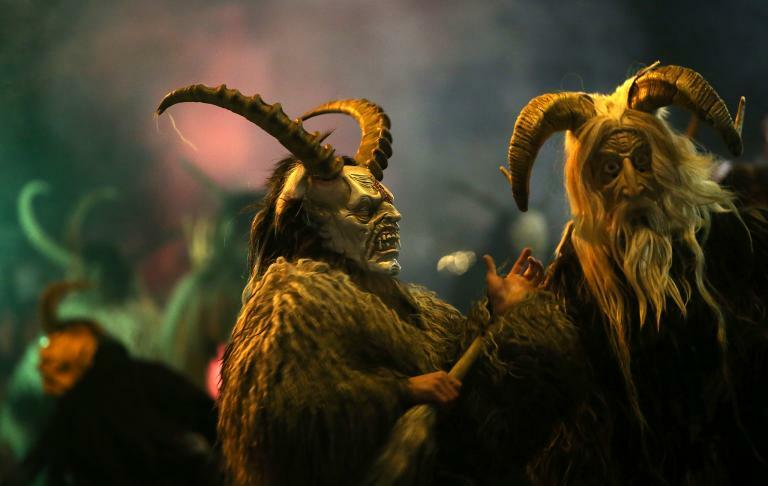 In Germanic culture Krampus is a horned, hairy demonic figure with sharp claws who, during Christmas, punishes naughty children in German-speaking countries. Legend goes that on Christmas eve, children put their shoes on the window sill or outside their bedroom door. 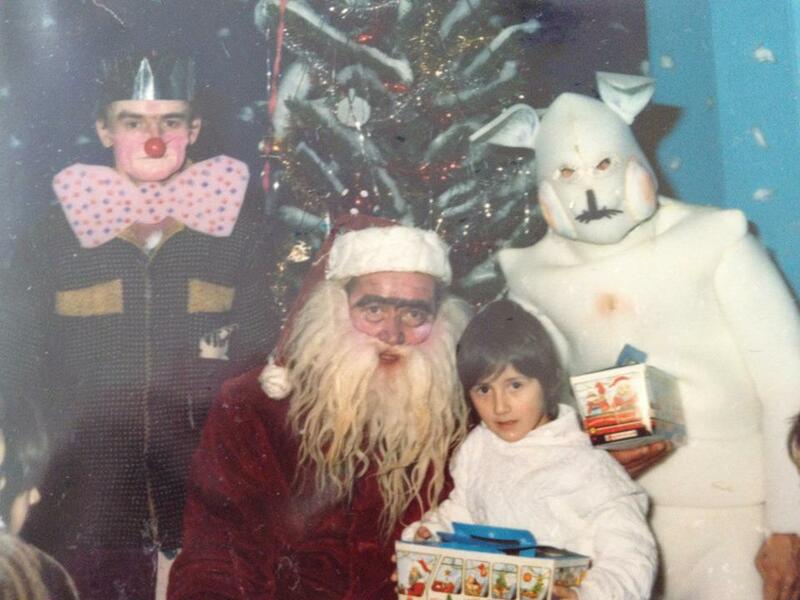 While they sleep, Santa Claus and Krampus visit their home. The good children get candy and treats in their shoes from Santa. 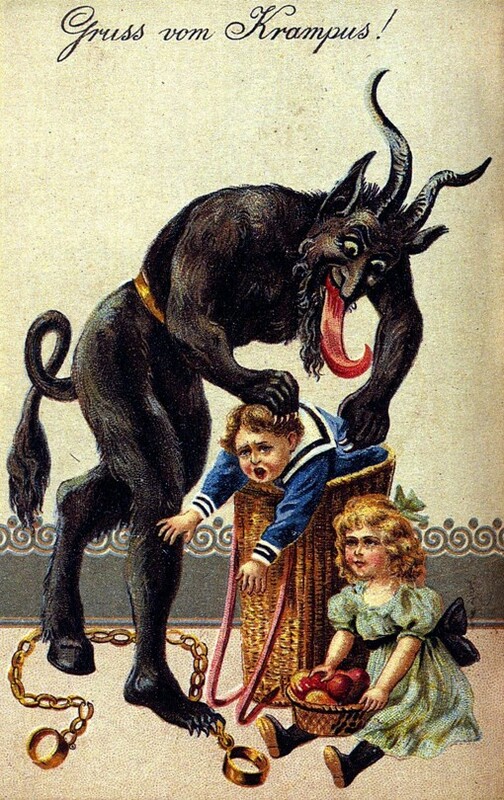 The naughty kids get beaten with a stick by Krampus. The really bad kids are put in a burlap sack and tossed into the river. Germans sure know how to have fun! 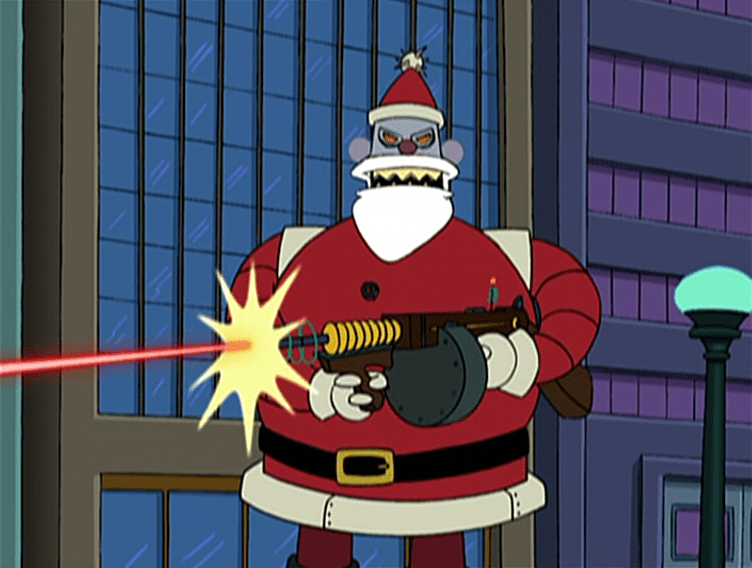 In the Futurama universe, Santa is an evil, rocket-launching, killer robot who seeks revenge on the general populace for the commercialization of Christmas. Every year, the residents of New New York hide from the violent robot, lest they be blown to smithereens. The best part is that Santa-Bot is voiced by John Goodman. 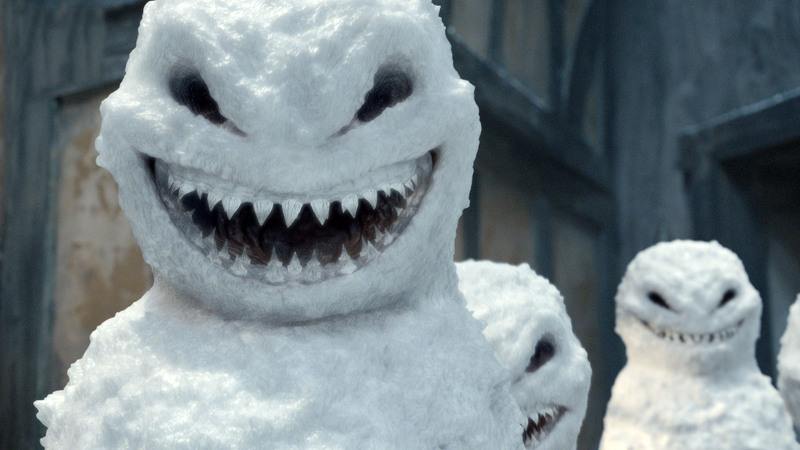 Every year, Doctor Who tackles the holiday season with some of the most imaginative and creepy Christmas stories. Viewers have been treated with killer Santa robots (much like Futurama), spinning Christmas trees of death, a giant snowflake-like warship driven by a humongous spider woman, alien pine tree eggs disguising themselves as Christmas ornaments, an evil conscious snowman plagued with human perception and numerous other monsters and ghouls. If you love humor and horror, watch some old Doctor Who Christmas specials. “On Christmas Eve night, 1978 at about 3:00 a.m. in Klamath Falls, Oregon, I was suddenly awakened by a choir singing. The house was new construction, miles from the nearest church. I strained to hear any words that I could understand or a tune that I could identify, but I could not understand the language or tune. I did get a feeling of “angelic” exaltation, reverence, and gladness of heart. This was truly a heavenly choir lifting their voices on high, singing hosanna in the highest, in an unknown tongue, without accompaniment of instruments. “I had an unusual visitor on Christmas Day, 2008 and I’m pretty sure it wasn’t Santa Claus passing by my house in Bloomington, Indiana. The day started in typical fashion with the opening of gifts around the Christmas tree. I served an early Christmas dinner for family and friends, and everybody departed by 5 p.m., except my sister and brother-in-law who live with me. They were sleeping in a bedroom at the end of the hall with the door open. I pushed the blankets down and lifted my head from the pillow, but just as I would have been able to see who was in the doorway, an extremely bright light hit me right in the eyes. I shielded my eyes and yelled, ‘Turn out that @#%$ light! You’re blinding me!’ The light immediately disappeared and I heard the bedroom door latch closed. My bedside light is a touch lamp, so I tapped it on and looked around the bedroom. There was no one in the bedroom except me and Toby. Toby jumped off the bed and went to the door without showing any signs of alarm. At first I wasn’t frightened because Toby is a Dutch shepherd — well trained to be an excellent watchdog and proven personal protection dog. Got any scary Christmas tales to tell? Share them in the comments.